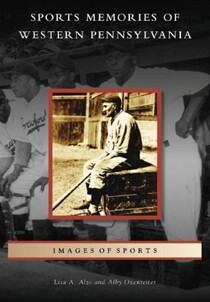 Since the late 1800s, sports have played a key role in shaping the very character of western Pennsylvania. The area’s largest city, Pittsburgh, boasts well-known professional sports teams in baseball, football, and hockey. In fact, no other city of comparable size has had such success in sports at the professional level, earning bragging rights and the nickname “City of Champions.” Sports Memories of Western Pennsylvania is a salute to the athletes, coaches, announcers, and fans, both professional and amateur, who together created a rich sports history for western Pennsylvania.